When facing sudden emergencies or unexpected expenses, you may need money, and quickly. 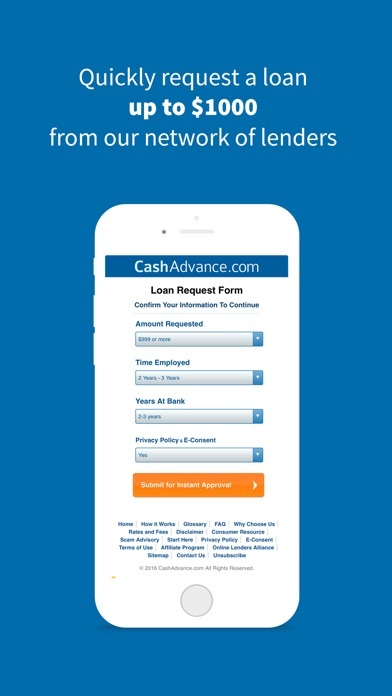 You can use the CashAdvance™ app to find short term loan options and manage your loan history in your account center. Typically loan amounts provided by our lender network are from $100 to $1,000. 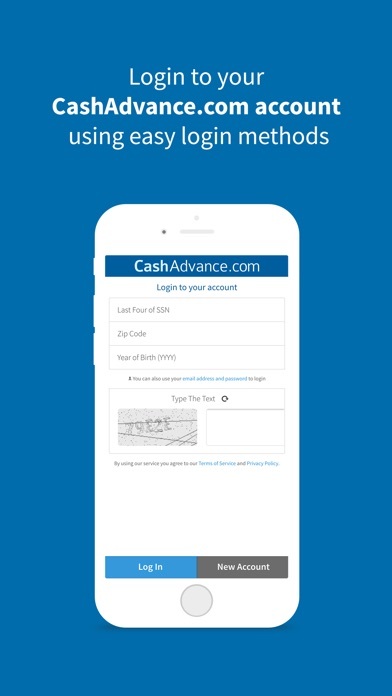 Since 1997 CashAdvance™ has given consumers a way to find the short term financial assistance that they need. CashAdvance™ attempts to match you with a lender in our vast network. As loan APR, conditions, and repayment plans vary based on lenders, simply approve or reject an offer without any penalties as there are no obligations to accept offers. 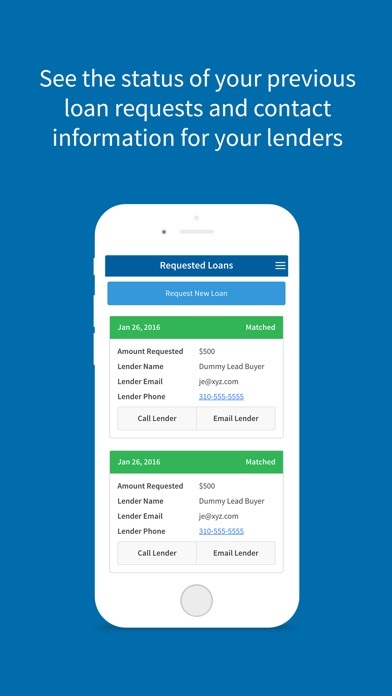 This user-friendly app now allows you to easily navigate features, request loan options, and access your account through any device - in the comfort of your own home, office, or even on-the-go. CashAdvance™ uses high-grade Verisign 256-bit SSL and is tested by Norton on a daily basis, ensuring a safe user experience. by Shake It Media Inc.